The sycamore fig (Ficus sycomorus) is a fig species in the mulberry family, hence its alternative name, fig mulberry. The species dates back to ancient Egyptian times and, despite what its name suggests, it is not actually a maple tree, but a fig species-proper. The tree boasts an enormous, broad crown and can grow up to 20 meters in height. It prefers frost-free, warm climates and can be found growing near rivers, streams and in woods. It can be found in Asia Minor, Syria, Persia and the Mediterranean basin as well as Egypt and can thrive in virtually any country with a tropical climate. What does the sycamore fig look like? The sycamore fig tree is a monstrous appearance, tall and wide, with green-gray bark and large, heart-shaped leaves that resemble those of the mulberry tree. The fruit are about the same size and shape as the common fig. Unripe sycamore figs are green and hard but, as they ripen, their skin turns a deep yellow-red, orange or red-purple and they soften. The flesh is a pale yellow and has a soft texture as well as numerous tiny, round seeds. If cut, the tree oozes a white, slightly sticky latex that causes an irritation or rash when it comes into contact with the skin, a protection mechanism also present in the common fig. It is also possible for contact with sycamore fig or ingestion of fruits or other preparations to cause allergic reactions. What do sycamore figs taste like? Unlike common fig varieties, the sycamore fig has a moderate sweet taste, soft-textured flesh and an overall mild flavor, somewhat inferior to that of regular figs. The flowers need to be pollinated by a small wasp species called Ceratosolen arabicus in order to produce fruit which generally ripen from July to December. The fruit grow in clusters and make for a wonderful picture of abundance. 1) Cracked skin, ulcers, warts and burns. Traditional medical practices of indigenous South American peoples recommend applying the white latex on cracked heels to prevent infections and allow for heeling. The milky latex was also applied on burns, warts and ulcers as a sort of protective layer and to prevent infection. 2) Cough and other respiratory ailments. According to the Smithsonian Institution, South American tribes used boiled fig bark as a throatwash for treating cough. The boiled tree bark was drank in the hope of treating respiratory ailments such as sore throat, scrofula (a sort of lymph nodes infection) and even lung problems. 3) Malaise refers to a feeling of general weakness. According to research (Nutritional and Phytochemical Composition of Utu (Icacina Senegalensis) and Sycamore (Ficus Sycomorus) Seeds), sycamore fig seeds are a good source of dietary minerals, notably calcium, magnesium, phosphorus, potassium, zinc, copper and iron. Dietary minerals contribute to a feeling of wellbeing as a result of their tonic properties and can thus successfully treat malaise. However, sycamore figs also contain antinutritional constituents such as oxalate and phytate which may inhibit vitamin and minerals absorption. Cooking the seeds significantly reduces the amounts of antinutritional constituents, allowing for nutrient absorption. 4) Diarrhea, dysentery and abdominal pain. Sycamore figs have been shown to contain trace amounts of important dietary minerals such as magnesium, potassium and sodium, among others. Magnesium is great at regulating muscle activity and can help ease muscle spasms and cramps and even relieve, to a certain extent, abdominal cramps. Potassium regulates body fluids, regulates blood pressure and prevents dehydration that occurs when the body loses liquids, electrolytes and dietary minerals as a result of diarrhea or dysentery. The small amounts of sodium in the fruit contribute to maintaining normal blood pressure, preventing dehydration, help ease and possibly relieve diarrhea. The Massai people are said to have used the bark for treating diarrhea. 5) Antimicrobial. The seeds of the sycamore fig have been shown to contain saponins, natural compounds that protect plants from bacteria and fungi. It is believed that eating the seeds can offer similar protection against microbes. 6) Constipation. Sycamore figs are a good source of dietary fiber, represented especially by their seeds content. The seeds are not digestible and pass through the digestive system unchanged, similar to kiwifruit seeds or common fig seeds, contributing to constipation relief. Some sources also say that the root of the plants possesses laxative properties as well. 7) Good source of carbohydrates. Although not as sweet as the common fig, sycamore figs do contain good amounts of natural sugars which are basically simple carbohydrates that release energy soon after digestion. Eating sycamore figs can thus give you a good energy boost. 8) Other uses. According to Duke’s handbook of medicinal plants of the Bible, tribe women would eat sycamore fig leaves and fruits to stimulate lactation. Fruit extract was found to exhibit antitumour activity. Chest ache, snakebites, typhoid, jaundice and several other conditions were treated in the past with various parts of the sycamore fig plant. Last but not least, the yellow, orange and red color of sycamore figs skin may indicate the presence of powerful carotenoids, but further research is required to identify them.. Conclusion. Although there is little research conducted on the properties and benefits of sycamore figs, folk medicine has put the fruit to test in great ways which shows there is much more to learn about its curative properties. Sycamore figs date back to biblical times and represent a wonderfully nourishing fruit with a good dietary mineral and carbohydrate content. 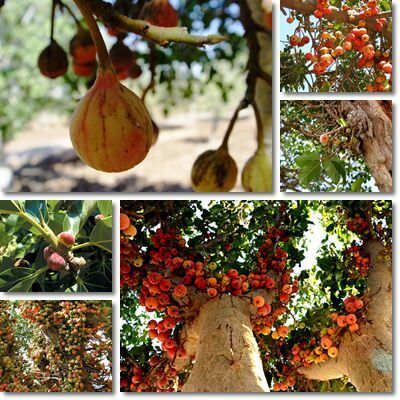 Sycamore fig is very good for human health. Good evening sir, that is good I am a nurse and I believe on natural cure and I’m looking to see how I can help live, especially people with diabetes and hypertension and cancer. Please I need your support and I’m going to try this sycamore, by God’s grace I will share the testimony to the house. Hello, Esther. Your passion for your work is truly inspiring. As I see it, the way food promotes good health is through prevention and relief and eating right can make our lives easier from so many points of view. Food and eating are not treatments proper, but they can help improve our health or accentuate certain conditions so what and how we eat can really make a big difference. Wishing you the best of luck in your endeavors. I saw a man selling the fruits in my town in Nigeria and he was telling us that the fruits can cure infections within ten days and can even reverse glaucoma, and I say wow! I want to buy it the next time I see him and try it because I have this foul smelling urine each time I go to the bathroom. I will come back for a testimony if it works. I am all for fruits, Chidi, and truly believe that a clean, natural diet is a great prevention method against disease. This being said, this foul smell you are describing is best investigated by a doctor. It could be something easily reversible like a more pronounced dehydration or something more serious like an infection, in which case you will need antibiotics to clear it. So it might be best to make an appointment with your doctor and tell the doctor every symptoms you’ve been experiencing, if there are others besides the smell (change in color, maybe presence of blood, abdominal cramps, anything you can thing of). At the same time, I’d love to hear your opinion on sycamore figs. If you like the taste and if you’d like to have them again. Wishing you lots of health. Thanks, sir. I am herbalist student from Malawi but I am here to ask about trees that can cure asthma. So, if possible, can you help me sir? Hello, Dominic. First of all, it’s important to consider the nature of asthma which is autoimmune. This means that it’s your own immune system that reacts too strongly to otherwise harmless elements. And you can’t really modulate your immune system to this extent. What you can do is manage symptoms of asthma, prevent the factors that cause it and potentially reduce the number of episodes. You can do this with regular medicine and with the help of some plants. What everyone with asthma should understand is that medications are essential. So if you have asthma and your doctor has prescribed essential medication, you need to have it with you at all times. Because if there is an asthmatic episode, that medication can save your life. Secondly, avoiding causative agents can mean less asthma episodes and better quality of life overall, so this should be the next most important focus of anyone with the respiratory condition. Then and only then can you talk about plants. And know this: plants and plant products do not cure asthma, or at least there is currently no known plant to do so. But certain plants can help improve symptoms and may be considered as a complementary treatment therapy for asthma. However, not everyone will react the same way to a similar product, so it’s important to know that even if a plant is good for a person with asthma, the same plant can trigger an episode in another, so patient treatment must be considered individually. As for examples, studies show a plant called Euphorbia hirta can potentially help relax the bronchial tubers and thus has anti-asthmatic properties. But know that it is also mildly toxic and has the potential to reduce fertility. Extracts of Piper guineense have been reported to inhibit histamine-induced constriction of the airways in the lungs, with potential benefits for asthmatics. But Pipper guineense is still a species of pepper and, by nature, an irritant. Eating too much can cause acid reflux and trigger an asthma episode. Inhaling ground pepper can also cause laryngospasms or an asthma episode. There are studies that advance the idea that daily vitamin C supplementation (1,000 mg for adults, or 1 g) can help improve both asthma and allergies. Eating fruits rich in vitamin C also helps (bell peppers, strawberries, kiwifruit etc. ), however make sure they don’t cause acid reflux because this too can be a trigger. Zinc supplementation is said to improve symptoms in some people. Other experts consider meeting your daily intake of selenium and iodine can help with asthma since it’s an immune-mediated condition and selenium and iodine are important for the thyroid which in turn impacts multiple aspects of immunity. Some say you can’t control autoimmune conditions if you don’t have a healthy thyroid. Magnesium can be of help because it can manage the anxiety associated with asthma and possibly contribute to reducing the number of episodes and improving the condition overall. Some people find aromatherapy with eucalyptus or mint essential oils helps better control their breathing and relieve congestion naturally, especially when they are sick with the cold or flu. But again, it’s important to be careful since strong smells can cause an asthma episode. Some studies say even eating apples and pears can help with asthma, while others suggest a high intake of antioxidants from various fruits and vegetables may help (again, watch out for acid reflux). There are so many other plants and nutrients with antihistaminic activity, but all have either limited benefits in the form they are presently used or come with side effects that can offset an episode. Whatever plant you choose for managing asthma, it’s important to tailor it to the individual requirements of the patient and understand how it interacts with other systems, organs or medical conditions. Hope this helps. Can the sycamore seeds help cure the sugar content in human? If you are referring to high blood sugar, then it might be best to reconsider your whole diet. Because one food will not reverse bad eating habits and the health issues they generate. So sycamore figs and seeds will not help very much. Instead, you should be focusing on eating more balanced and varied. It is recommended to monitor your calorie intake and remain around 2,000 kcal a day. It’s even better if you calculate your ideal weight by comparing height and current weight. If you are overweight, losing some weight could help lower your blood sugar levels. Exclude processed foods from you diet and eat more at home. Consider eating only food you cook yourself from the beginning. Exclude sweets from your diet and focus more on eating vegetables and protein. Fats should be consumed in limited amounts and so should grains. Choose whole grains over refined cereal and low-fat dairy over regular, full-fat dairy. Avoid fizzy drinks and fruit juices because they carry a lot of sugar. Do not add too much oil or butter to your food, avoid salad dressings and fried foods. Get your fats from natural sources such as nuts, seeds (check for allergies), low-fat dairy, avocado etc. By changing the way you eat, you should be able to visibly lower your blood sugar levels in a matter of weeks. All of these tips should help both lower blood sugar levels and prevent any condition that could directly or indirectly lead to high blood sugar. If you have any medical conditions, talk to your doctor about what the best diet plan would be for you considering said medical conditions. Can sycamore seed reduce belly fat? Hello, Ivy. Eating sycamore fig is a healthy choice, but one food will not turn around an entire diet. You can lose weight and boost your metabolism if you eat home-cooked meals low in fat, lean protein and vegetables for the most part. Moderate amounts of whole grains, fruits, nuts, seeds and dairy to complete your diet. You can include sycamore figs with a little cheese of your choice in the diet for energy, fiber, protein and just a little fat. Or add sycamore figs to a spinach and cheese salad. Avoid processed foods, fried foods and processed candy and sweets of all kinds. The moment you feed your body right, that is when it will start to work right and you don’t have to worry about excess weight. Moderate amounts of physical exercise, cardio and some weights should help with muscle tone and improve the appearance of certain areas (because weight loss will occur all over, not just in one area). It would be a great idea to see a dietitian for a personalized eating plan. Hope this helps and wishing you lots of health, Ivy. Hi, i love using sycamore seeds. Can it cure liver and hypertension? Hi, Princess Tina. Are you referring to sycamore figs (Ficus sycomorus) – a type of fig, or to sycamore seeds produced by sycamore tree species (Acer pseudoplatanus)? I’m asking because you said you love using the seeds, whereas the sycamore in the article refers to a fruit species similar to the common fig, not a seed. In any case, the sycamore fig does not cure liver problems or hypertension; it merely boosts nutrition and works towards better overall health. Later edit: I did not know sycamore seeds were edible. How do you eat them: raw or cooked? Do you discard the seeds pods and seed coat? And when is the best time to harvest them? Would love to hear more from you about this interesting foraging find, if you don’t mind sharing.